Whats up with all the Finals Trades? Let’s take a break from the NBA draft and look at what’s happening in the rest of the association. First off, there was the NBA Finals. Lebron James put on one of the greatest (if not the greatest) Finals performances of all time only to watch as Steph Curry took his Warriors to getting a ring. During this, small ball ran wild, JR & Shump built houses and not didn’t live up to expectations (we’re all soooo surprised), Andre Iguodala won the Finals MVP and lots of other fun stuff. But enough of that, you’ve probably already heard a ton of this stuff, let’s look at the trades. Oddly enough two trades went through during the finals. This is interesting because this is probably the first time this has happened and these trades didn’t even involve draft picks as the draft approaches. Alright let’s look at these trades, the first between the Bucks & Pistons, the second between the Clippers & Hornets. This trade is pretty straightforward. Detroit did this to get a stretch four to put next to Andre Drummond, similar to what Van Gundy did in Orlando by putting Ryan Anderson next to Dwight Howard. Milwaukee did this trade as a salary dump to get rid of the remaining 16.3 million dollars over the next two years that they owed Ilyasova. This trade is a little more complicated, but still pretty easy to decipher. The Clippers did this because they badly need depth, and especially wing depth. Stevenson plays exactly into this need because he is a wing that can pretty much do a little bit of everything. The big question mark is if Stephenson can keep his behavior and attitude in check, but if he can keep that in check like he did in Indiana and play anywhere near that level, this is an absolute steal for the Clippers. Also, while losing Barnes does sting a tiny bit, it’s nice for them to get Hawes contract off the books. The Hornets did this for the same reason Milwaukee dealt Ilyasova, to dump Stevenson’s 9 million dollars as well as his bad behavior. A random note: if Lance completely screws up and this trade turns out to be garbage for the Clippers, they should really reconsider letting Doc being the team president. I mean look at these moves *vomits*. Wait, this stuff has to do with the Knicks? 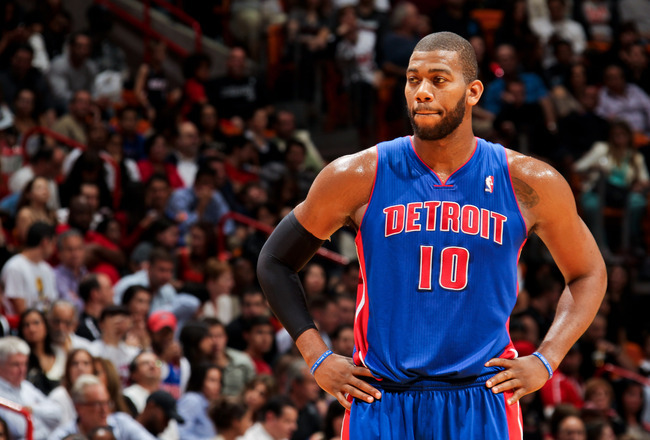 Could Detroit’s trade with Milwaukee help send Greg Monroe to NYK? Yes, a matter a fact it does. Let’s start with the first trade; This trade affects the Knicks because the means the Detroit is most likely not going to try to keep PF Greg Monroe. The Pistons would not do this trade before free agency unless they were sure that they were not going to resign him. This means that the bidding for Monroe will be between the New York Knicks and the Boston Celtics, according to reports. Bring it on Boston! For the second trade, it’s a little more indirect. The Bucks are going to waive Caron Butler and the Hornets are probably going to waive Matt Barnes. This puts two veteran wings on the market, both of which whom the Knicks can and should target as bench bros and for veteran leadership. What do you all think of the trades? Comment below. Curry and the warriors did something LeBron has never done, win a title in Cleveland..